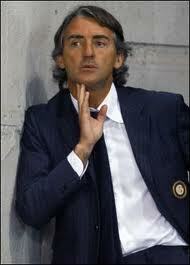 You cannot help but feel sorry for Roberto Mancini. He has so much responsibility added with much pressure by his Abu Dhabi employers to win the premier league over city rivals Manchester United as well as looking after his very sick father. According to reports, Roberto Mancini has been juggling the demands of Manchester City's title run-in with regular trips back to Italy to be at the bedside of his ill father. The health of Aldo Mancini is believed to have deteriorated in recent months after he had appeared to make a full recovery from a heart attack suffered in 2010. Manchester City have given their consent for Mancini, the club’s manager, to travel back to his homeland on a frequent basis to care for his father. Mancini has even made use of a private jet for some trips, including the two-day pilgrimage to a holy site at Medjugorje in Bosnia-Herzegivina at the end of last month. Mancini Snr, who is in his late 70s, has watched City play only once since his son took over at Etihad Stadium in December 2009 – last September’s 1-1 home draw against Napoli in the Champions League. He also watched the club train at their Carrington headquarters the day before that match. The City manager dashed back from the club’s tour of the United States in the summer of 2010 after his father first suffered a heart attack. Most of City’s players are believed to be unaware of the strain on Mancini, although his assistants David Platt and Brian Kidd and tight-knit Italian backroom team of Attilio Lombardo, Fausto Salsano and Ivan Carminati have been well briefed on their boss’s plight.